Colin Kaepernick is naturally in the news again. It seems like the disgraced former quarterback designs it that way, but the liberal sports media has their hands in it as well. And what Kaepernick’s girlfriend posted about him being “blackballed” from the industry shocked everyone. That doesn’t mean he’s not getting paid a lot of money. 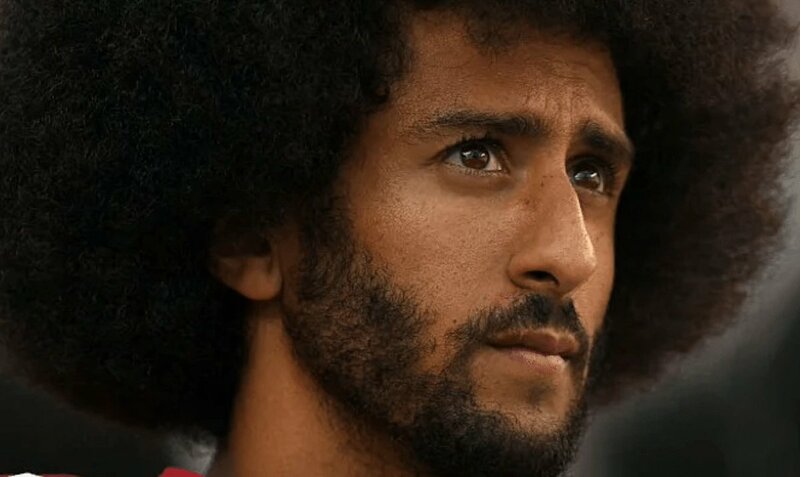 Nike made Kaepernick the face of their 30th anniversary “Just Do It” campaign, which was met with a lot of controversy. But his name still gets thrown around every time a quarterback struggles or is out for the season due to injury. This just happened with Washington Redskins quarterback Alex Smith. Smith suffered a brutal leg injury on the 33rd anniversary of Joe Theismann’s career-ending injury, which even Smith admitted looked similar to his. That’s how bad it was. It was obvious he was done for the season if you caught the replay. But then thing’s got complicated. The Redskins signed former Jets quarterback Mark Sanchez instead of considering Kaepernick at all. Panthers safety Eric Reid was asked about this and revealed something interesting. And that’s when his girlfriend chimed in too. But the real question is whether any of this is true. Kaepernick does not seem to even want a job, despite the fact that two people very close to him say otherwise. Kaepernick has had several opportunities to play in the league since 2016, when the nationwide anthem-kneeling controversy began. Denver Broncos General Manager John Elway insisted that he offered Kaepernick a contract, but he declined. The former San Francisco 49ers starter wants too much money when no one has seen him train. His girlfriend claims he trains six days a week, but where is the proof? And it may be that Nessa has already ruined his chances to get a job in the NFL. When the Ravens considered Kaepernick, she made the comparison of hall of famer Ray Lewis as being a slave to the Ravens’ owner. It’s been two years. At this point, he’s unproven. Do you think Kaepernick will ever play in the NFL again?